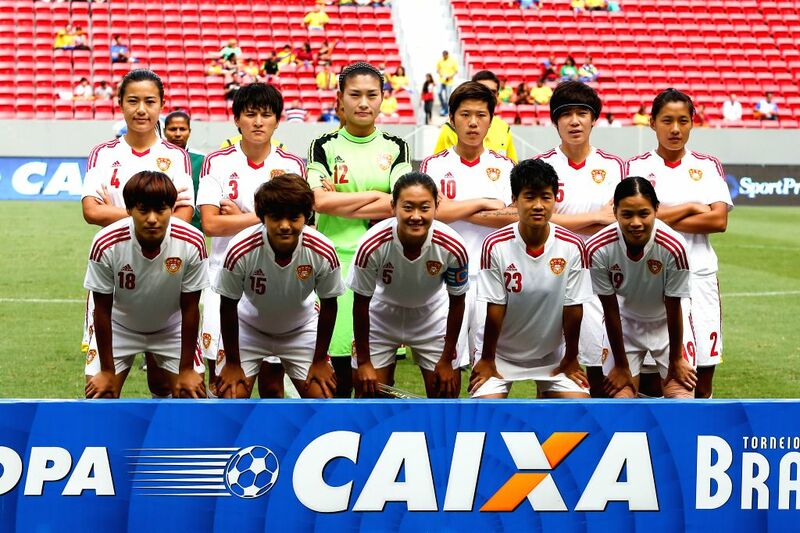 BRASILIA, Dec. 22, 2014 - China's players line up prior to a match between China and Argentina of the 2014 International Women's Football Tournament of Brasilia in Brasilia, capital of Brazil, Dec. 21, 2014. China won the bronze of the tournament after a 0-0 draw over Argentina on Sunday. 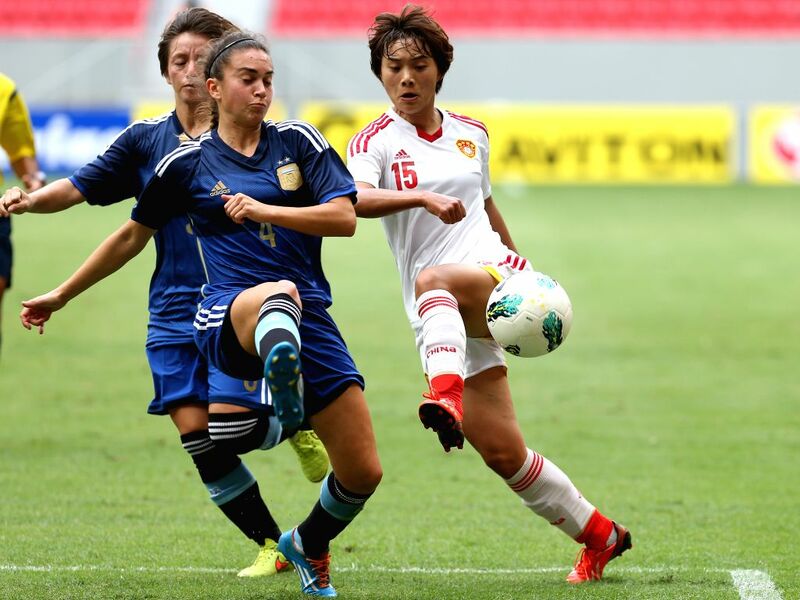 China's Wang Shuang (R) breaks through during a match between China and Argentina of the 2014 International Women's Football Tournament of Brasilia in Brasilia, capital of Brazil, Dec. 21, 2014. 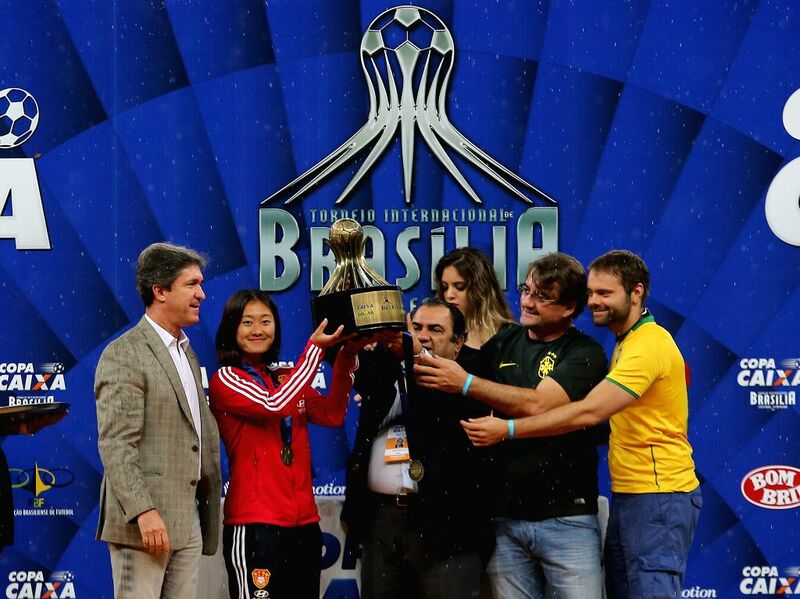 China's team captain Wu Haiyan (2nd L) holds the trophy during the awarding ceremony after a match between China and Argentina of the 2014 International Women's Football Tournament of Brasilia in Brasilia, capital of Brazil, Dec. 21, 2014. China's Ren Guixin (back) vies with Argentina's Florencia Quinones during a match between China and Argentina of the 2014 International Women's Football Tournament of Brasilia in Brasilia, capital of Brazil, Dec. 21, 2014. 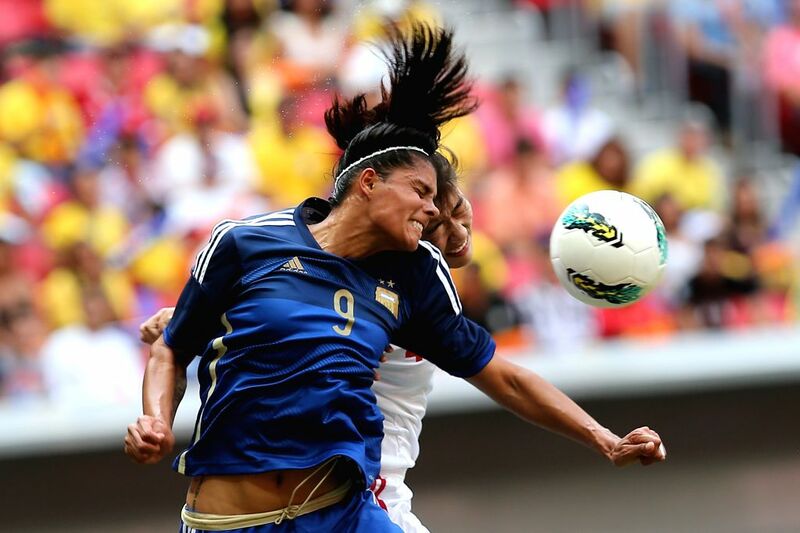 China's Li Jiayue (back) heads the ball with Argentina's Florencia Jaimes during a match between China and Argentina of the 2014 International Women's Football Tournament of Brasilia in Brasilia, capital of Brazil, Dec. 21, 2014. 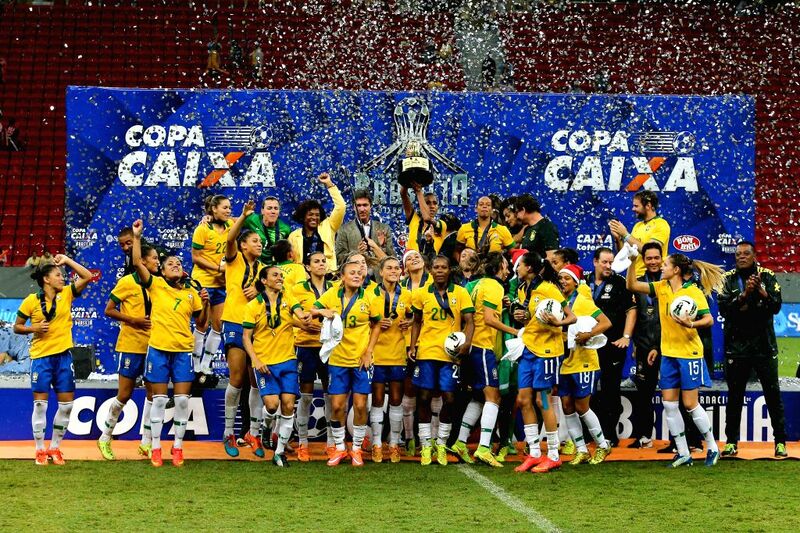 Brazil's players celebrate during the awarding ceremony after the match between Brazil and the United States of the 2014 International Women's Football Tournament of Brasilia in Brasilia, capital of Brazil, Dec. 21, 2014. Brazil claimed the title after a 0-0 draw over the United States on Sunday.